Happy 2014 everyone – I hope everyone had a wonderful holiday season and I wish you all success, happiness and style for this year!!! 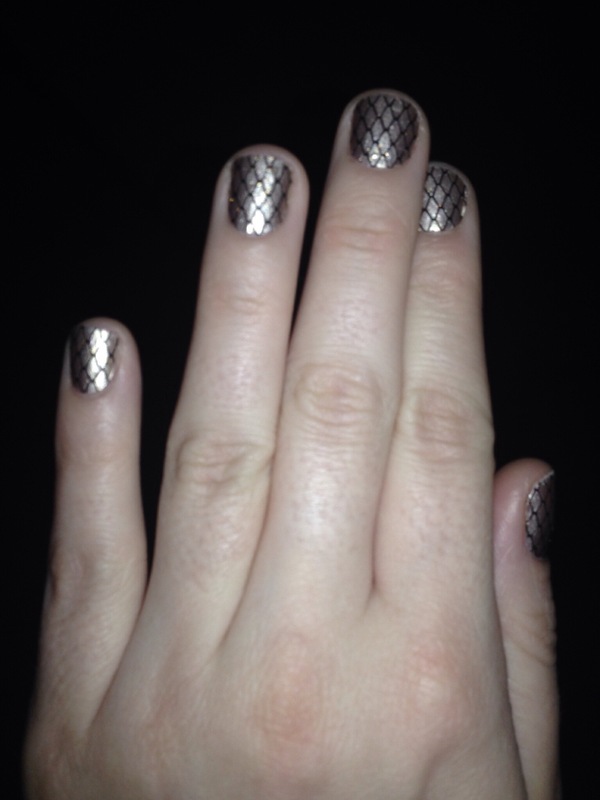 For Christmas I was given some Sally Hansen Salon Effect Nail Polish Strips as a gift from a much loved coworker. I have used the gel ones before however haven’t tried out the regular ones so was pretty excited to give this product a test run. Anyone who’s been reading my nail related posts know that I am really really hard on my hands, so the claim for any polish/nail art to last 10 days is laughable. To give this product credit I am getting 5-7 days out of the nail polish strips, so that’s pretty freaking amazing in my books. Also they are EASY to put on! I’m terrible at paining my nails and end up taking forever because apparently I can’t tell the difference between cuticle, skin and nail. The strips are a simple 3 step process – find a fit, apply (stick) then file to shape/fit the length. I have been putting a top coat on top to finish the look off. Not only are these great for quick and stylish nails, they are also great to travel with because they are so easy to apply and you don’t have to worry about spillage or breaking the bottle like with nail polish. I’m definitely going to be getting some more!!! 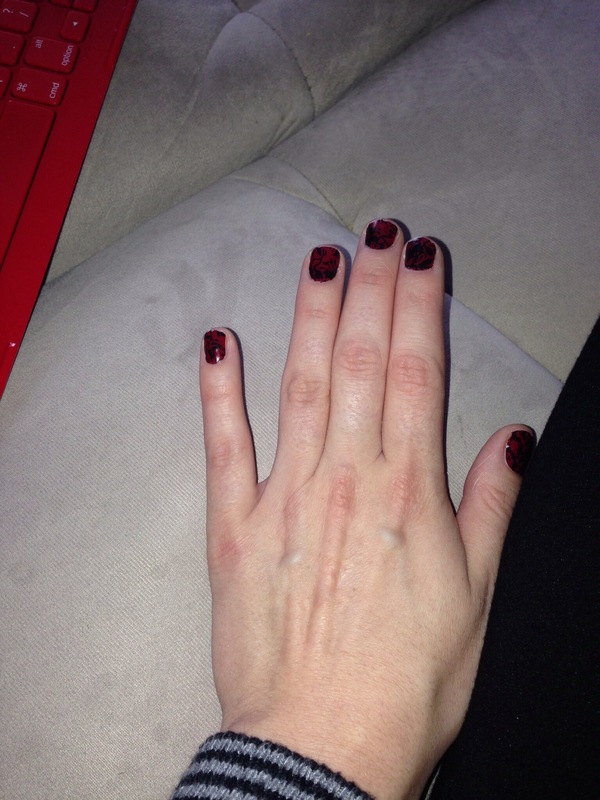 This entry was posted in Beauty and tagged Nail Art, nail polish, nail strips, Sally Hansen, salon polish strips by maldham. Bookmark the permalink.